Producing a successful film or television show is a massive undertaking. There are a lot of moving parts, and every one of those details cost a serious chunk of change. Creators must stay within the budget that they’re provided by the studio, and at the end of the day, its success is based on how much money it grosses upon release. This means that mishaps should be kept to a minimum, for fear of losing already-precious money. While accidents are inevitable, some are more expensive than others. These mistakes during filming ended up costing studios a whole lot of money. You won’t believe the injury that resulted in a lawsuit on the set of Ghostland. 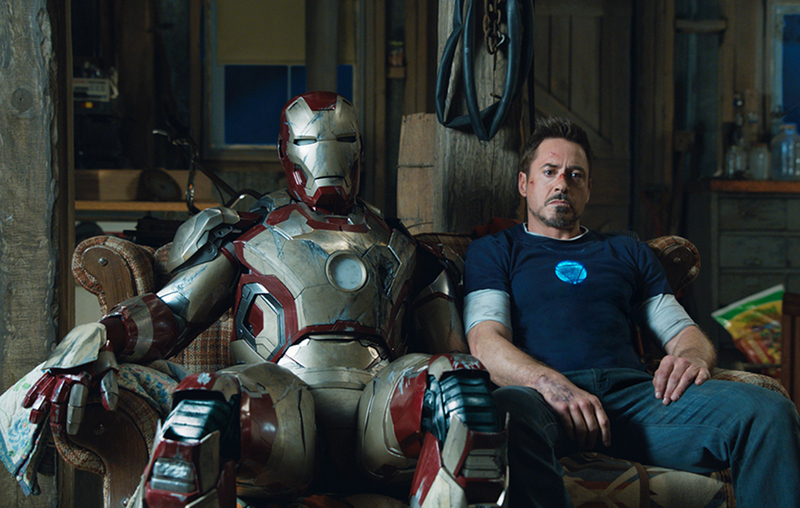 The Marvel Comic Iron Man film series has been a major success from the start. The films have always done well in the box office as well as entertained fans without any major problems. However, while filming for Iron Man 3, Robert Downey Jr., who plays Tony Stark, severely injured his ankle when filming an action sequence. At that point, they had no choice but to wait for his ankle to heal in order to resume filming. The healing process took six weeks, which ended up costing the film thousands of dollars waiting around for his recovery. Considering all of the people that are dying and being chased around, horror movies usually require a lot of special effects and stunts. 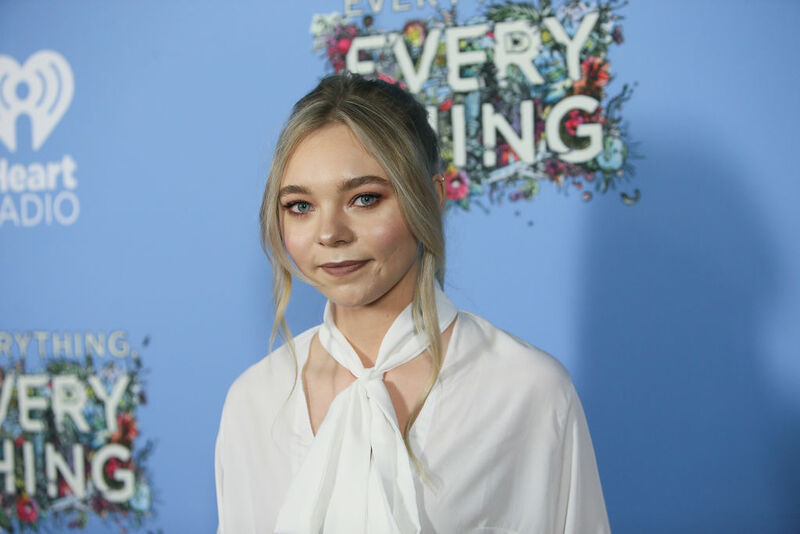 This was the case for the film Ghostland, in which actress Taylor Hickson’s character was supposed to be thrown through a glass door. Unfortunately, things took a turn for the worse, and the stunt resulted in Hickson severely cutting her face, leaving a large permanent scar on her cheek. Apparently, the wrong kind of glass was used, which was the direct cause of her injury. Hickson then ended up suing the film company for overlooking her safety during the stunt. 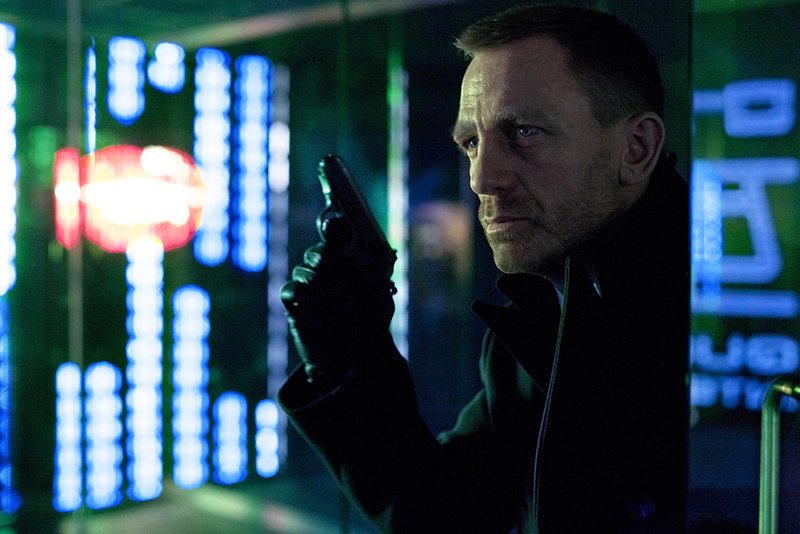 During the production of Skyfall, Daniel Craig bought a pair of leather gloves that he thought would go well with his Bond character. When filming in a cold warehouse, Craig asked director Sam Mendez if he could wear the gloves. Already under a lot of pressure, Mendez gave him the go-ahead without thinking much of it. However, while in the editing room, the crew realized Craig was wearing the gloves during a scene when he’s shooting a gun that has fingerprint recognition, a huge continuity error. After learning that a re-shoot of the scene would cost millions, they were forced to spend extra and digitally paint over his hands making them appear abnormally large. Would you still have liked The Goonies if there was a giant octopus breakdancing? Generally, fake babies cost less to use than real babies in film, and they’re also easier to work with. However, if you do use a fake baby, it’s important that the baby at least look real enough to fool the audience. This is where the military drama American Sniper ran into some troubles. When Bradley Cooper’s character goes to pick up the baby, it’s totally obvious that the baby was a doll. They attempted to CGI the doll’s arm to make it seem alive which just made it look even weirder. Not only did they have to spend extra money on making a doll look like a living baby but the film received backlash for its laziness. It might be a good idea for producers to budget for a wrecked car during filming… just in case something happens. Because sometimes, it does. 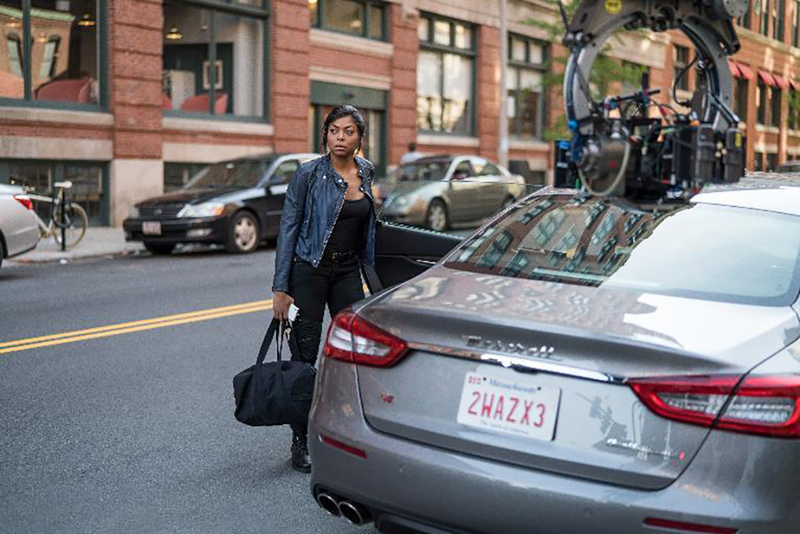 That’s what happened in the 2018 action thriller Proud Mary, where actress Taraji P. Henson plays a hit woman who works in Boston. Henson insisted that she did her own driving scenes using the film’s expensive and very real Maserati. 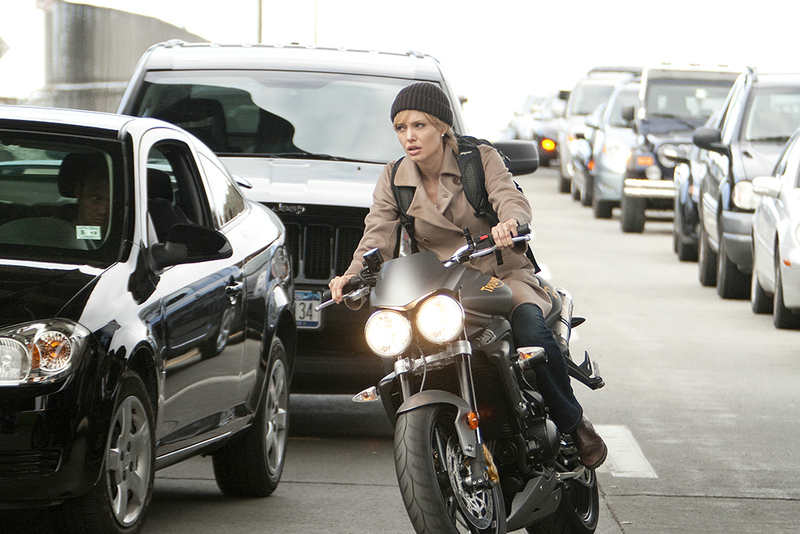 However, she accidentally drove the Maserati into a fire hydrant while filming a scene. Thankfully, Henson was okay, although repairing the car cost over $12,000. It’s known that Francis Ford Coppola’s Apocalypse Now was both a nightmare to act in as well as direct. 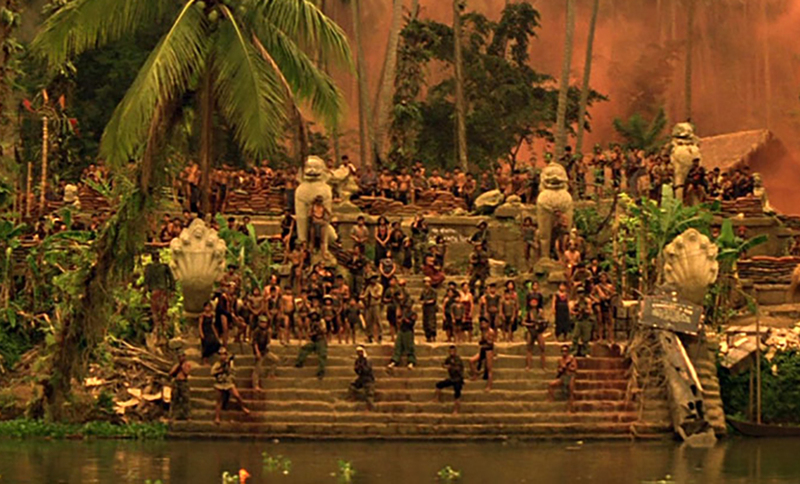 One of the reasons why it was so difficult was because Coppola insisted that the movie was filmed in the Philippines rather than a comfortable Hollywood studio. This proved to be a problem when they ended up building an entire village in the heart of the jungle instead of a controlled environment. It wasn’t long before the fake village was hit with a typhoon destroying nearly the set entirely. It cost around $1.5 million to rebuild, a high price to pay for authenticity. Burman Studios developed the octopus, and the scene was shot, yet, it didn’t make it into the film. The octopus ended up looking incredibly odd and the consensus was to leave it out. So, all of that time, money, and energy were wasted on a scene that didn’t make it into the movie. 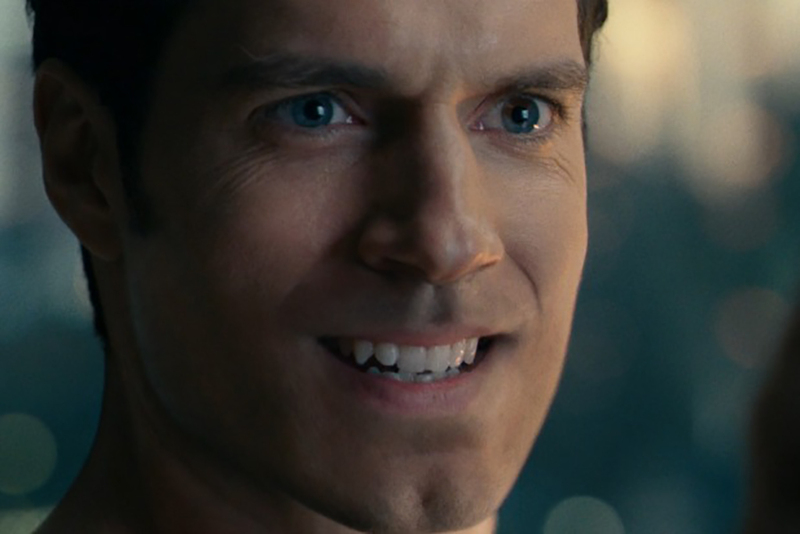 Ever notice anything funny about Henry Cavill’s face in Justice League? 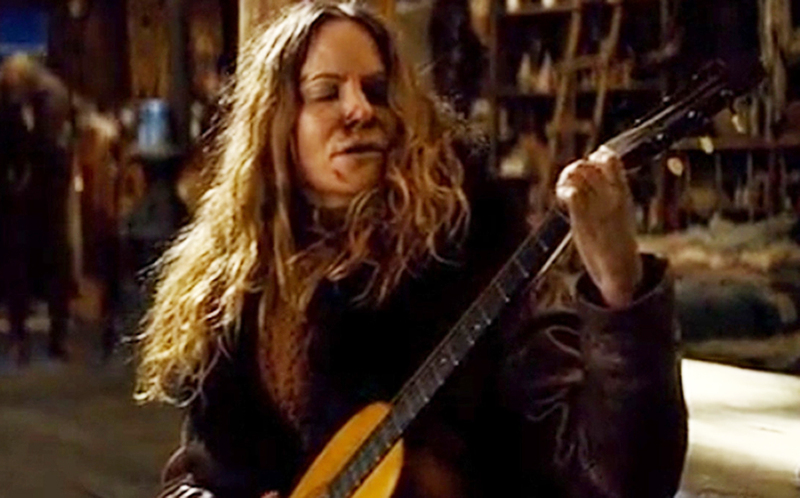 For Quentin Tarantino’s The Hateful Eight, actress Jennifer Jason Leigh’s character plays the guitar and sings. Prior to filming, Leigh was instructed to learn the guitar for the role, specifically on the guitar that she would be using in the film. The guitar turned out to be a Martin guitar from the 1860s. In one scene, Kurt Russel’s character smashes the guitar to stop Leigh from playing. When filming, Russell assumed that it was the prop guitar. Unfortunately, it wasn’t. As it turns out, the now-destroyed antique guitar was worth around $40,000. Russell was beside himself when he learned the truth. When first creating the Resident Evil franchise, the writers ended giving the main character Alice, played by Milla Jovovich, almost the same amount of lines as the secondary character, Rain. Since Jovovich was the protagonist of the series, she felt offended that a lesser character would have an almost equal amount of screen time and lines as her. So, she gave the filmmakers an ultimatum to either change the script or she would leave the movie. Both options would cost a lot of money, but they decided the cheaper and easiest option would be to basically rewrite the entire script. A lot of actors prefer to do their own stunts. It brings them closer to their character and makes them feel like they’re doing more than just reciting lines of dialogue. Tom Cruise is one of these daredevil actors. Cruise does his own stunts so often, he rarely requests a stunt double anymore. 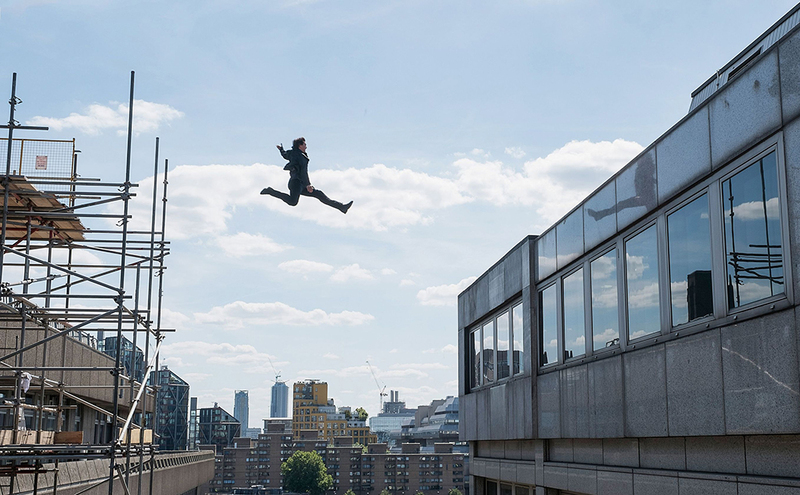 Yet, when filming a stunt for Mission Impossible – Fallout, he might have been better off with one. Cruise ended up shattering his ankle jumping from building to building, leaving him out of commission for months. The film lost a lot of money on account of his injury although the scene still made it into the movie. In the action-mystery film Salt, Angelina Jolie plays a CIA agent accused of being a Russian spy. Being an action-packed film, it’s no surprise that there were some injuries on the set. However, the most notable was when Angelina Jolie took a hard hit to her head. After which, filming was put on hold for several weeks. Stopping the film for that long cost the production company thousands of dollars that otherwise could have been put to good use. At the moment, Superman actor Henry Cavill has quite a busy work schedule. Almost immediately after wrapping up filming for Justice League, he began preparing for his role in Mission Impossible- – Fallout, which required for him to grow a mustache. With no immediate contracts, Cavill grew out the mustache as he was told yet was informed that he needed to reshoot some scenes for Justice League. The only problem was that he now had a mustache, which he had no plans on getting rid of anytime soon. So, they shot the scenes that they needed and had to spend extra money to CGI over his facial hair. See why it’s important to not break any props without being told to. 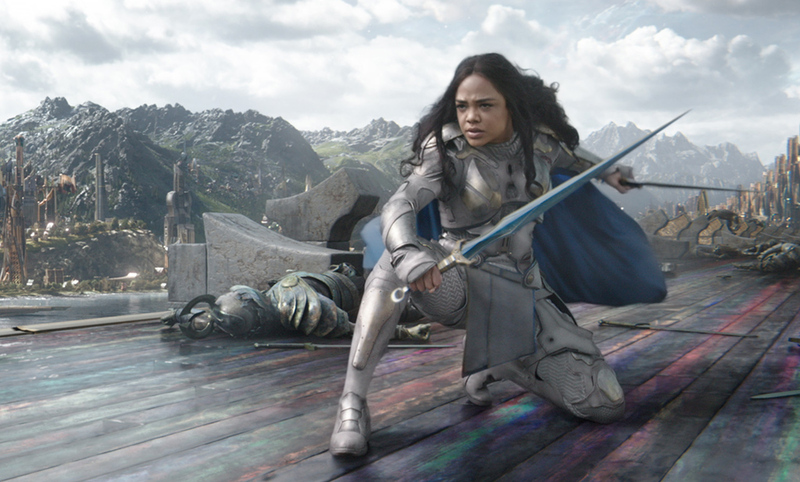 In Thor: Ragnarok, a new character named Valkyrie was introduced, played by actress Tessa Thompson. This was a delight to Marvel fans, although many are unaware that the character ended up costing production an extra $10,000. When Thor was wrapping up, Thompson began working on her next film Sorry to Bother You. In that film, her character has orange hair, so she dyed her own for the part. Of course, she was eventually called back for a few Thor re-shoots, however, she had orange hair. So, the studio had to throw together a $10,000 wig to cover it up. Since screen siren Marilyn Monroe was one of the top actresses in the world in the 1950s, producers jumped at the chance to bring her aboard for 1959’s Some Like it Hot. However, it soon became clear that they had made a big mistake when they hired her as Sugar Kane. She was going through some pretty significant personal problems at the time and it showed in her work, which slowed production time immensely. She couldn’t remember most of her lines, was constantly late to work, and didn’t get along with the rest of the cast and crew. As a result, the movie didn’t recover its production costs at the box office. 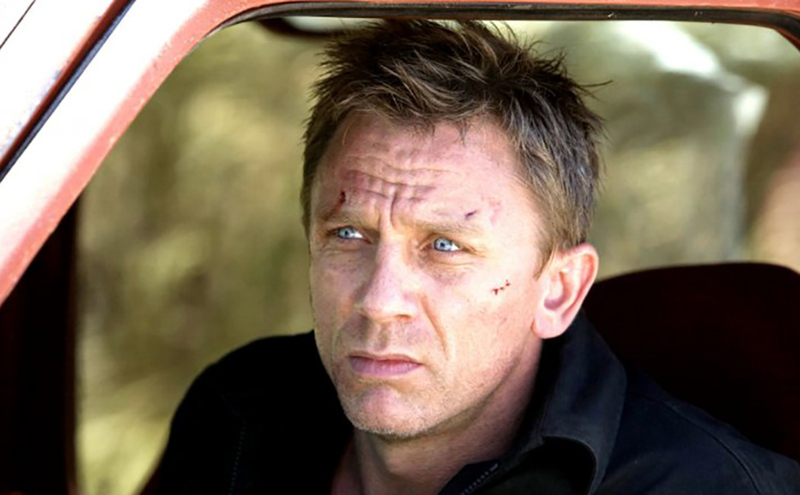 While filming a fight sequence for Daniel Craig’s second James Bond film, Quantum of Solace, Craig actually took a hit. When a stuntman went for a fake kick to Craig’s face, it actually landed, causing serious damage to his face. Filming was put on hold while Craig received eight stitches, costing the production a pretty penny. On top of that, Craig received a black eye, something that you wouldn’t ever see Bond sporting. So, they had to spend even more money and use digital effects to remove the damage around his eye. While most people know The Avengers from the superhero comic books and film series, those aren’t the only ones in popular culture. The Avengers was also a 1960s British spy TV series which was adapted into a film starring Ralph Fiennes and Uma Thurman. The film, however, turned out to be a complete bomb, failing to please critics or do well at the box office. On top of its failure, disaster struck on set when filming for a controlled explosion. Rogue sparks landed on the roof of one of their studios, setting it on fire and causing around $1.6 million in damages. Battlestar Galactica was originally a 1970s television show. However, it received a makeover in the early 2000s along with a bigger budget. 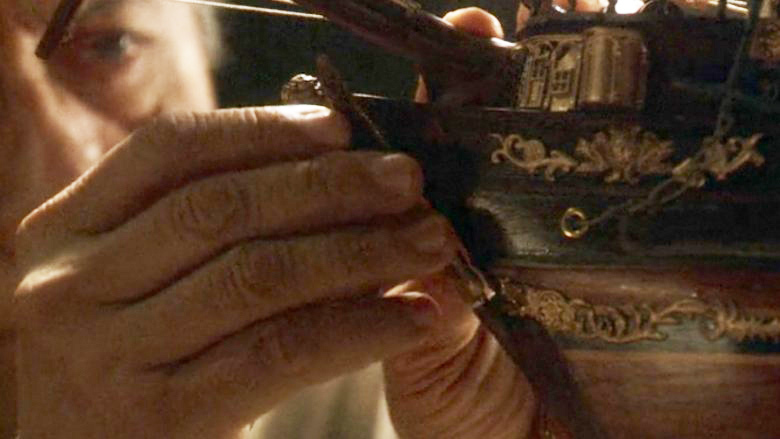 In the 2007 episode “Maelstrom,” there’s a scene when Admiral Adama, played by James Olmos, is working on a beautiful model ship. He is then overcome in a fit of rage and grief and destroys the model, something that wasn’t in the script. Little did he know that the model was a museum piece that was loaned to the production company. He later admitted in 2012 that he would have never destroyed the ship if he had known it was worth $200,000. Check out the expensive change that was for the better in There Will Be Blood. Burt Reynolds’ performance was incredibly successful in the original Smokey and the Bandit film. Since the film was so well-received, it was a no-brainer that they would make a second one. Unfortunately, things didn’t go as smoothly while filming the sequel and Reynolds couldn’t seem to get any of his lines right. His mistakes ended up costing the film thousands of dollars for all of the re-shooting that they had to do because Reynolds kept messing up the dialogue. One crew member even claimed that they could make a full-length film out of all the wasted footage they had. 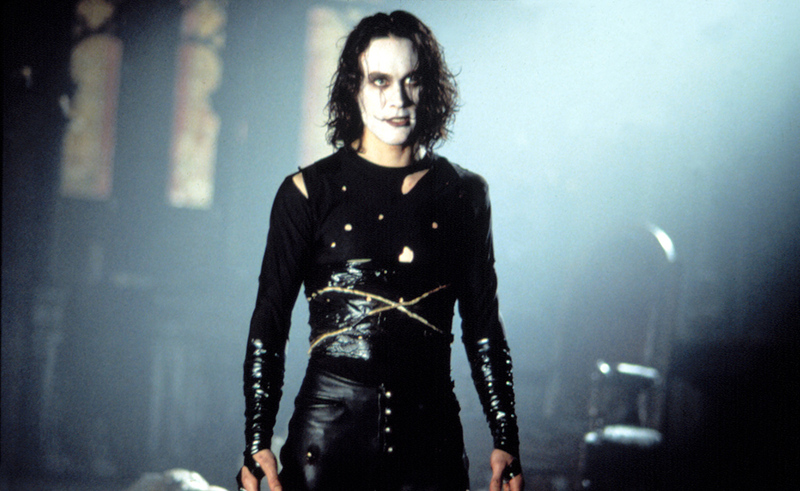 While filming for The Crow, in a tragic accident, actor Brandon Lee was accidentally shot on set. Somehow, a fake bullet ended up in the chamber of a prop gun, and when fired, acted as a real bullet and fatally wounding Lee. While the death of Lee was more heartbreaking than any amount of lost money, it also took a toll on the film’s budget. Due to re-shoots, scheduling conflicts, and basically remaking the entire film, the movie went $8 million over budget. Although nobody could imagine the Back to the Future series without Michael J. 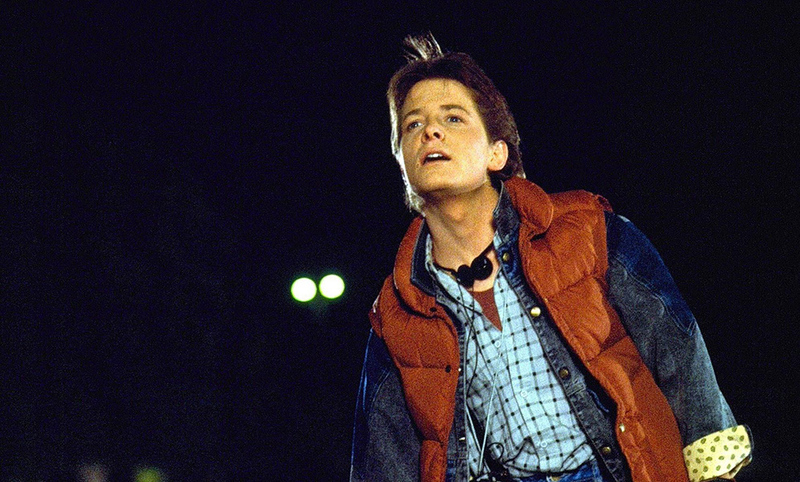 Fox as Marty McFly, that was almost the case. Originally, Eric Stoltz was cast for the part and spent an entire five weeks on set before it was decided by director Robert Zemeckis that Stoltz and Marty’s girlfriend weren’t cut out for their parts. They then cast Fox, meaning that they had wasted an entire five weeks worth of money shooting footage that would never even be used in the film. They also had to spend a hefty amount of money recasting both roles. In Paul Thomas Anderson’s There Will Be Blood, the roles of identical twins Paul and Eli Sunday were supposed to be played by Kel O’Neill. However, due to constant creative differences and many arguments over direction between Daniel Day-Lewis, O’Neill and Anderson, O’Neill was replaced by Paul Dano. Since O’Neill had already been in production for some time, this meant that they had to spend a lot of money recasting and re-shooting may of the scenes that O’Neill was once a part of. The extra money proved to be worth it as Dano’s performance was commended by many.